Creative retouching techniques are often used to enhance the photography that is being used for a particular project. In this tutorial, Stefka Pavlova will show you how to replace a woman's lipstick with artwork using some creative and effective photo retouching techniques. Let's get started! Editor's note: Thank you to Jozef Zidarov for providing the photography for this tutorial. First step is to load the image of the pattern that you would like to use. 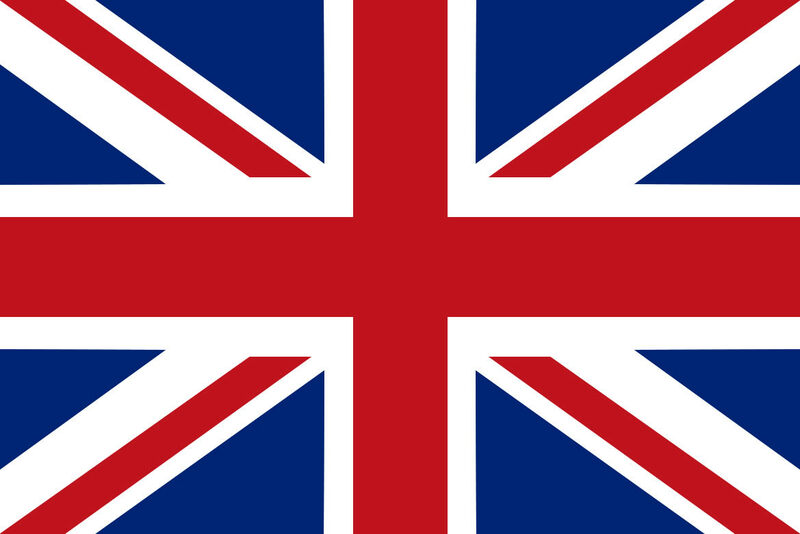 In this tutorial, we will use the UK flag. Set the opacity to 50%. Rotate and position to match the lips angle. Cut the pattern image into two separate layers (make selection > layer via cut). Make rough selection on both layers to outline the lip shape. Go to Liquify panel and reshape each piece to match the lip shape. The artwork’s edges are too clean. Smooth them by adding some noise and then add a blur by going to Filter > Blur > Blur. Now group each lip layer in separate group and mask the artwork to the contour of the lips. Before you proceed, get rid of that red color of the lips. Make a few adjustment layers. Hue/Saturation (overall desaturation), Selective Color to reduce the reds and curves to darken. Finally, group the layers and add a mask to match the lips shape. Make a copy of each lip (up, down) to its own group and blend the upper layers from the group to blend mode Overlay and these layers below to blend mode Hue. Add mask to the Hue layers to hide the extra saturation for more natural look. It's starting to look good! Now add a new layer with clipping mask on blend mode Multiply above each Overlay layer. I paint shadows with soft brush opacity set on 5% with dark colors. Group up lip and down lip groups together then mask little the right edge of the lips. I want to get maximum shine from the original lipstick, so I make Dodge and Burn group of 3 layers. One curve set to Multiply for burn and one curve set to Screen for dodge. Paint with soft brush, low opacity (2%) with black on empty layer set to blend mode Color to desaturate the teeth (they were too red). Paint on the Inverted (Command/Ctrl + I) black mask with white soft brush with low opacity or flow. I use a graphic tablet and I prefer my settings to be set with 1% flow. In that stage, the image needs more shading so I make another dodge and burn group. I'm trying to emphasize the highlights. Also I make small dots for a more sparkly look. The lips need more shadow. Make Hue/Saturation adjustment layer set to Multiply with low saturation. Apply a mask in needed areas and insert it into a group with overall lip mask. That masking gives me more control to the situation so I can easily add or remove layers from the group. The whites of the UK flag are too bright. Make Selective color adjustments layer, chose whites and set the black to 100%. Paint with white soft brush on the mask over the pure white places from the pattern. Add a new layer with a sample color anywhere from the skin. Add Gaussian noise. Then go to Filter > Blur > Blur. Set the layer to Overlay and mask it to reveal the effect on some parts of the lips. Now we have lipstick texture! I need to add more random sparkles. This is an image of a starry sky which is perfect for that. Set the layer to Screen blend mode and add mask. The stars are too many and too bright. I make new adjustments layer Levels with clipping mask to darken the highlights. I feel this lips need more and bigger sparkles. Place the other star image in the right place and add a mask. Set the stars layer on Screen blend mode and add Levels adjustments layer with clipping mask. Push Shadows and highlights sliders to the middle until you achieve strong sparkle contrast. I make another copy of the sparkling sky, rotate it and place into the desired position. Blend mode Screen again. Fix the color and the contrast of these sparkles with two clipped adjustments layers Levels and Hue/Saturation. And finally, draw some extra highlights with a small white hard brush.